The third series of The Walking Dead Minimates hits comic shops and specialty stores on June 12th, and has already been spotted at Toys “R” Us. 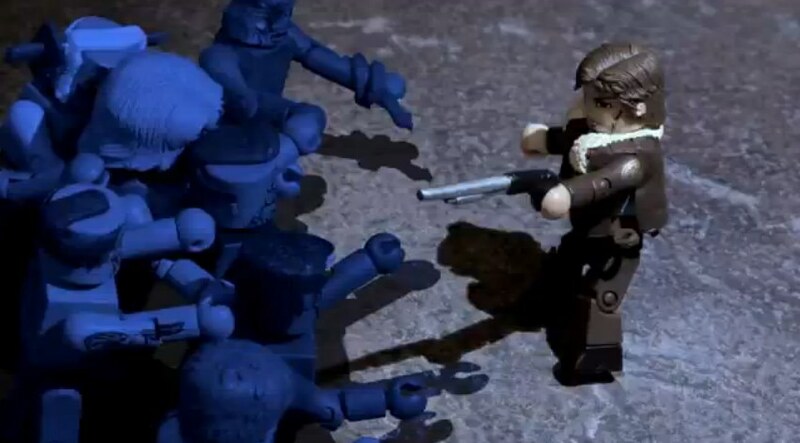 To commemorate the occasion, Diamond Select Toys and Art Asylum have put together a short film trailer starring all of the TWD Minimates to date, and it’s not for the faint of heart! With photography and editing by Alex Kropinak (Marvel’s What the…?! ), a voiceover by Chris Ward (the band Acorns to Oaks) and music by Matt Takacs, the film draws on Rick’s famous speech from the prison arc of the groundbreaking comic book, setting it to some of the most horrifying Minimates images you have ever seen. Check out the film below, and look for Series 3 in your local store! On Sale This Week: Walking Dead Minimates and Universal Monsters’ Metaluna Mutant! The Walking Dead Minimates Outbreak Has Been Contained! Series 2 is in Package!